One of the best parts of attending UC Berkeley’s football games is watching the University of California Marching Band perform, whether it’s forming the Cal script before the game or rocking out during a catchy halftime show. Want to learn more about Cal Band’s repertoire? 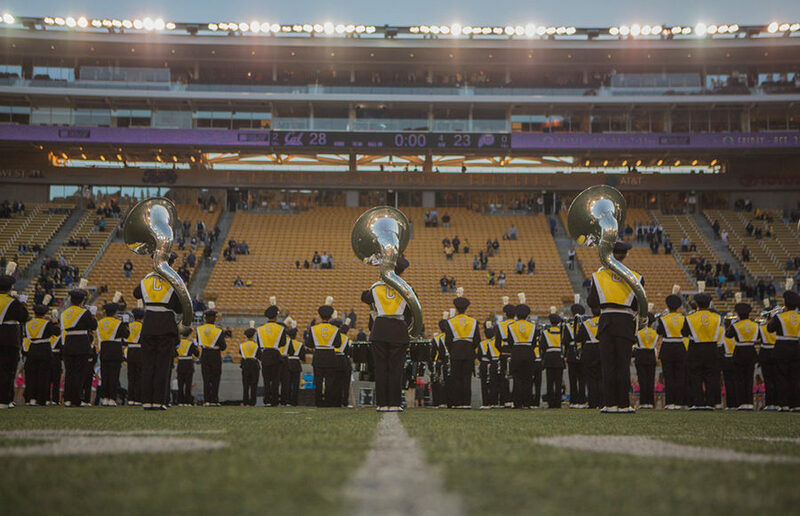 Take the Clog’s quiz to find out which Cal Band song best represents you. What are you doing before the game on Game Day? Where are you during the game? What’s your favorite UC Berkeley thing to brag about? “The Play”! The most amazing! Sensational! Dramatic! Heart-rending! Which area in Berkeley best represents you? Who’s your favorite UC Berkeley alumnus? California Drinking Song — “Drink to California ‘till we wobble in our shoes!” You celebrate the spirit of California with a good party and round of drinks.